Use to remove old crowns. Let the bur do the work, do not push too hard against the crown. Use sufficient amounts of water as a coolant while cutting. 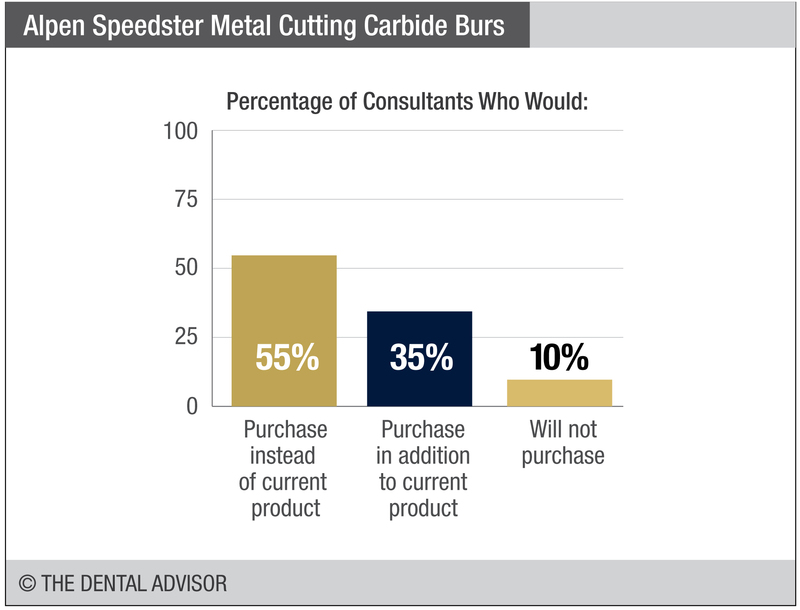 Alpen Speedster Metal Cutting Carbide Burs were evaluated by 31 consultants, in total of 808 times. 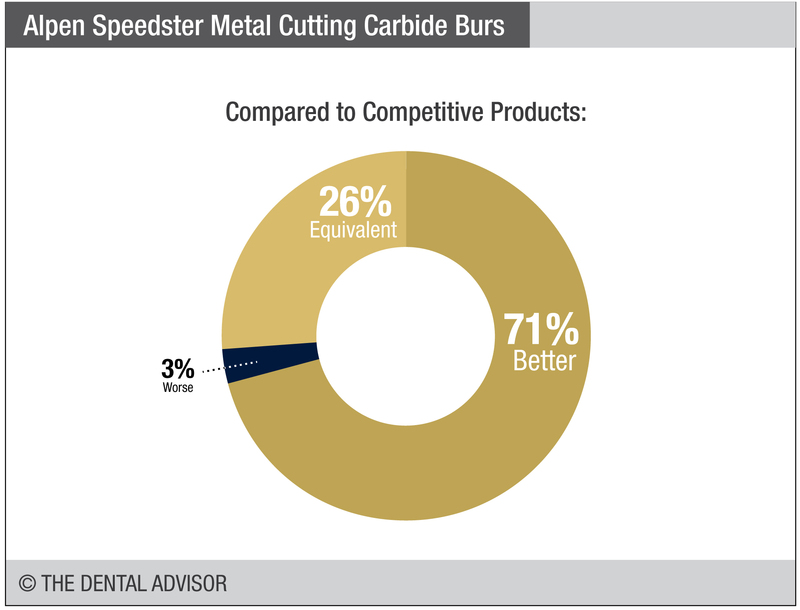 Burs tested included FG 245G, 330G, 557G and 1158G. Requires light pressure, during use. Procedures requiring use of carbide burs for rapid cutting of amalgam, metal, enamel and dentin. Cut rapidly using very light pressure. 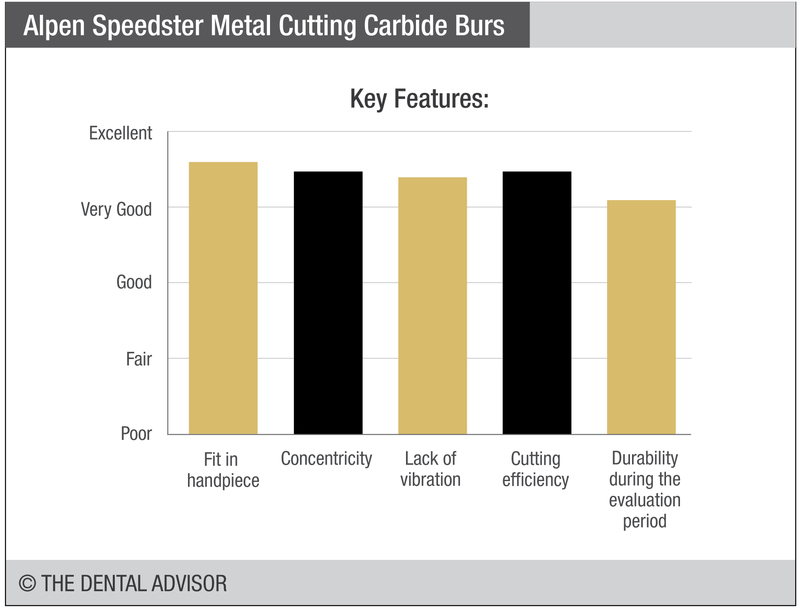 Alpen Speedster Metal Cutting Carbide Burs are designed to cut rapidly through metal, amalgam, enamel, and dentin. 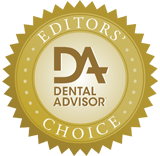 The burs are designed to cut rapidly using only very light pressure, without stalling or clogging. They are fabricated as one-piece solid carbide burs using computer-aided manufacturing. This design results in high-precision burs with increased concentricity and reduced chatter thus eliminating the risk of joint breakage, fractures and rust that appears with two-piece burs. 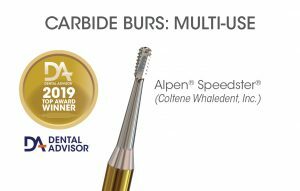 Alpen Speedster Metal Cutting Carbide Burs are friction grip and are available in packs of 10 and in packs of 100 for select burs. 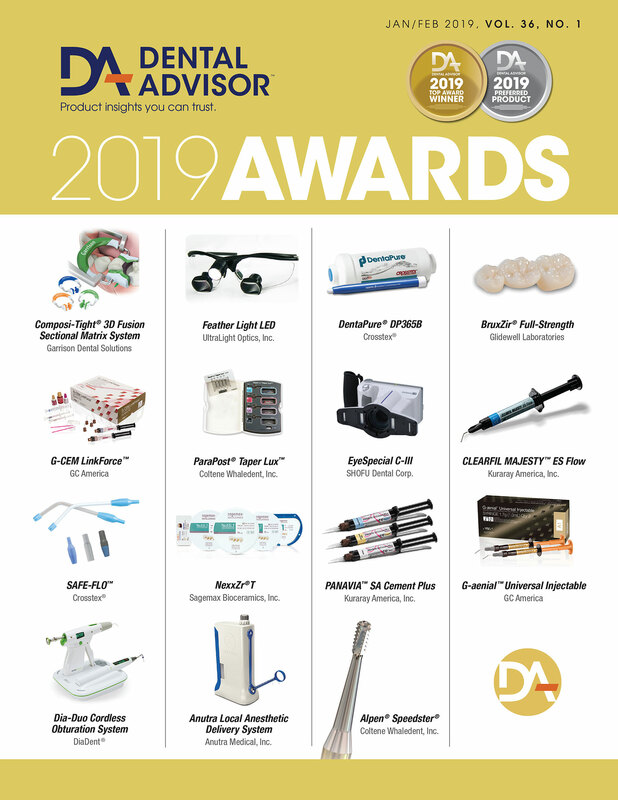 Available shapes include: round (4 sizes), cross cut fissure and inverted cone (3 sizes each), pear, cross cut tapered fissure, as well as round end cross cut fissure and amalgam burs (2 sizes each).